The debut album from Looking-Glass Lantern A Tapestry of Tales (2013), available from November 2018 as a remastered CD, together with a 12-page full-colour lyric booklet. How to order: Looking-Glass Lantern CDs are available to order from the Looking-Glass Lantern store (please click HERE). The download version is available from all online stores. Candlelight and Empire – the third Looking-Glass Lantern album. Voted number 92 on the progarchives.com Top Progressive Rock Albums of 2017 chart, and number 21 on the Best Progressive Rock Album of 2017 poll for the ‘The Prog Mill’ radio show on progzilla.com ! Released 6 November 2017 and set in the 1890s, Candlelight and Empire tells the story of a day in the life of a middle-class Victorian household. 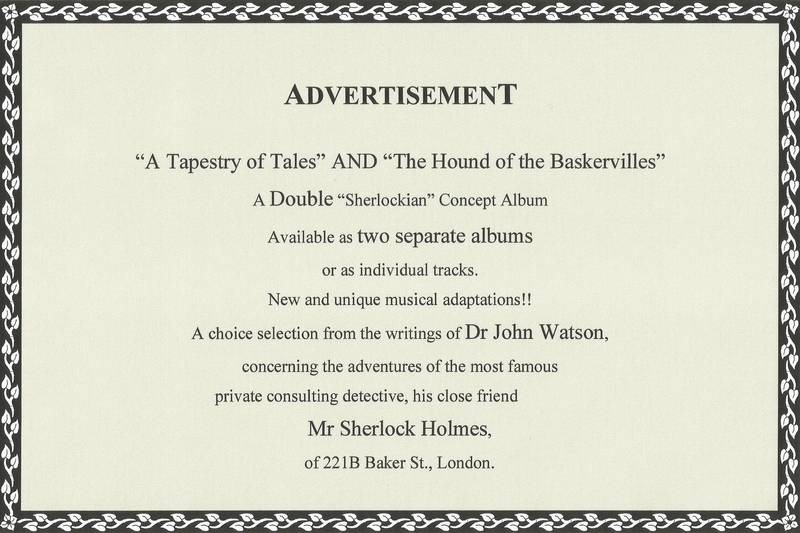 The CD comes with a 16-page booklet containing a short story and full song lyrics, illustrated throughout. There is also a dedicated Candlelight and Empire page on this site – please take a look. The Looking-Glass Lantern website has lots of information about the albums. In addition to the Looking-Glass Lantern store, you can buy downloads of the albums at iTunes, Amazon, Aurovine and many other online retailers. From here you can go to the Looking-Glass Lantern YouTube channel and Twitter feed. The music of Looking-Glass Lantern is also available on Spotify. Please get in touch, and follow me on Twitter @glass_lantern – I’m always interested in your questions and comments. I want to share my albums with as many people as possible. If you like what you hear, please make a purchase! Producing a full album takes a great deal of effort and determination, so even if you only buy a single track, this will really support what I’m doing. Thanks very much. How to buy albums on CD? It’s great to hear from you, and thanks for contacting me about my music!